What’s a “lilting tree” anyway? In the very center of a huge forest there grew, through many seasons, over many ages, beginning at a time before time, an enormous tree. This tree was one of uncommon beauty and unequalled symmetry. So many birds perched and nested upon its boughs that it was known as the lilting tree. But some say it was called so because it sang its own song, which the birds merely echoed. For certain, it was a strange and wonderful thing to hear sparrow and starling, nuthatch and bluebird, waxwing and warbler, even jay and raven all singing, in perfect harmonious rounds, the same dulcet song, one no earthly musician could ever think to rival. 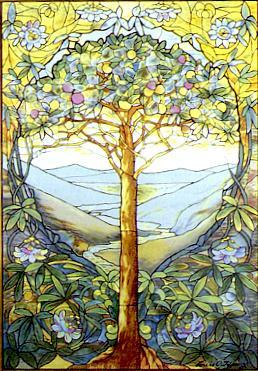 The story and the image are dear to me, and thus it seemed right to name the blog after the tree of my imaginings, the tree-of-my-life image, reaching up, plunging down, with an internal center that is settled, rooted, harmonious, ever-changing and growing in all directions.